Those of you're working with Google AdSense should know, AdSense account needs to be verified by a PIN Number. AdSense sends the PIN number in your postal address. And then you have to enter the PIN number in your AdSense account settings. If postal communication is okay in your area, then it's very easy for you to verify the account. Unfortunately, if your postal service is poor, wouldn't you be able to earn through Google AdSense? Why you Need to Verify PIN Number? Traditional payment system of AdSense is Check. When you request for payment, Google sends check to your postal address. That's why you need to ensure the AdSense team that your address is correct. When you get the letter from AdSense including PIN number, then Google sends check to your address. If you can't Get the PIN Letter? It's very natural that you could miss the PIN letter. That's why Google gives you three chances to request for AdSense PIN letter. That means you can request the PIN number for three times. At best three letters will be issued for you. If you're not as unlucky me, you should get the PIN. Three Times Failed! How to Verify PIN? Let's come to the point. My today's post is all about this! I've applied for the PIN number three times. But I haven't got it yet. But I've verified my AdSense Account without PIN number! This is called manual verification process. Manual Verification Process (No PIN Required)! As there are some other options to get your money from AdSense, the use of PIN number is not mandatory I think. Even Bangladeshis can now withdraw their money through bank accounts. But AdSense team doesn't like to remove the PIN verification feature to ensure the safety of your account. If you can't enter the PIN number even after trying for three times, then AdSense may consider your issue. You will get an option at the page where you're supposed to verify the PIN. You will be required to describe your problem in details. Within few hours you will get a confirmation message that your problem has been forwarded to the concerened authority. Hopefully AdSense team will contact you within 24 hours. They may ask your Govt. Issued ID Card with your Payee Name and Postal Address (As shown in AdSense account). If your AdSense account address is different from ID card, then you can use utility bill's copy which has the same address as shown in your AdSense account. Upload the scanned ID Card with Utility Bill if necessary. Send it to the above AdSense Support Email. Remember, the language of your ID Card and Utitlity Bill Copy should be one of the Supported Languages of AdSense. Otherwise AdSense Team might not be able to verify your account. After sending your National ID Card or Electrict Bill or Gas Bill to the AdSense Team, you will get another email within next 24 hour. 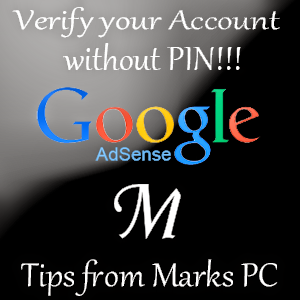 If AdSense is satisfied, your account will be verified without PIN! Believe me - I've made it! Suppose your Govt. ID Card is not issued in one of the supported languages. Will you try to manually edit the ID? Sounds bad - but not bad at all! Suppose your National ID is in Bengali or Hindi. You can just edit your Name, ID Number and Address and rewrite these in English. But make sure that AdSense will not be able to detect it. Otherwise your account may be suspended. Never Block Non Performing Ads! Hello Dears! It's been more than a week since I published my last post. Last week was so busy that I couldn't even check my site's status. By the way, I'm gonna give a true advice for revenue optimization tips to the AdSense publishers! 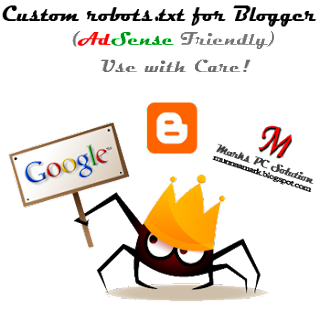 Google often tell AdSense publishers to optimize their revenues. Google may give you different techniques to optimize revenues such as - Ad Placement, Ad Types & Sizes, Ad Selection, Allowing or Blocking Ads etc. But never try to block irrelevant or non-performing ads to be shown on your site! 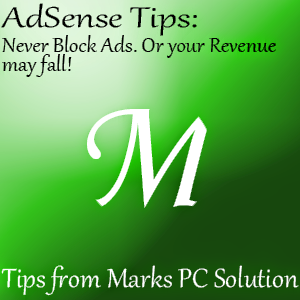 Blocking non-performing ads may have an adverse effect on your AdSense Revenue Performance! Yeah it's true! When I started showing ads on my site, my income was around $1/day. Gradually it was increasing - $2, $2.5, $3, $4. And after two months, my average daily income was $5/day. Then I was trying to accelerate my earnings. I was searching for tips. Google says - Inspect the ads which are more relevant. You can allow or block ads as your wish. Then I blocked some sensitive ads (Politics, Drugs etc.) from appearing in my site. And these ads were irrelevant to my contents as well as non-performing. Those Ads hardly receive clicks and never generate money. Believe me - the result was shocking. My average income fall to $2 after blocking those non-performing ads! Is that a consequence of blocking those ads? I think yes. To support my decision, I've allowed all the blocked ads. Again my average income rise to $5! So what do you think? If you allow all types of ads to be shown, there is a great chance to display irrelevant ads. If you block some categories, your income will fall. So what do you do? You have another option! In your search custom text, you can use AdSense friendly custom robots.txt. And it will help Google to crawl your contents properly. And thus your site will display more relevant ads. I have a detailed post about custom robots.txt for blogger. You can read it here. 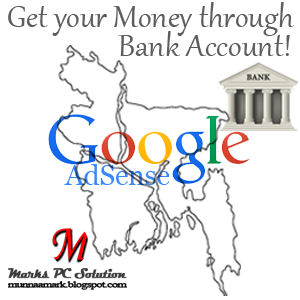 AdSense will Pay through Banks Accounts! Well that's a terrific news specially for Bangladeshis! Waiting for months? Annoyed with payment procedure? Giving up the idea to earn money through AdSense? As a Bangladeshi, you might be hopeless due to the thousands of problems regarding your AdSense account. But this time, there is a hope! Just three days ago, Google AdSense have announced that, Bangladeshi AdSense Publishers will be able to transfer Ad Revenue through their respective Bank Accounts! They don't have to wait for the checks for a long time and they don't need to wait to cash those checks! In many countries, Google is paying through EFT (Electronic Fund Transfer). But it is not available in Bangladesh. In this situation, Wire Transfer System will be really helpful for Bangladeshi Publishers. The payment will be made through International Wire Transfer instead of issuing checks. And certainly this will be fast, secure and convenient for the publishers to receive their payments. Minimum payment balance is as usual, I mean payment threshold is $100. Kazi Monirul Kabir, Country Director, Google Bangladesh, has informed this news through his Facebook Status. You must have a bank account. And make sure that your bank has a SWIFT code. In your payment options, you have to provide your Bank Name, Account Number, Swift code etc. And your payment option should be the Wire Transfer. Look at the above image. In order to add a Bank Account, log in to AdSense and then to the Payments tab > Select Payment Settings > Add Bank Account > Fill up the information. Bank Identifier Code or BIC is also known as SWIFT Code. You may get the code through bank's website or annual report. Or you can contact to the banker. (The SWIFT Code of Uttara Bank is - UTBLBDDH). Finally, save your settings. If you wanna get your current payment through Bank Account, provide your account information Before 21st November. You don't have to pay Google any extra charge! But if your bank asks for any charge then you may need to pay them. And you should also contact your bank for further information. Google also informs that this convenient payment system will be introduced in other countries soon. I've published several posts on HTML. But this is my first post on XML that stands for eXensible Markup Language. Before starting the main discussion, I'd like to inform you that I've collected information about XML from w3schools. I was just surfing that site and suddenly my eyes go to the XML tutorials. Then I decided to write something on XML. In fact, today's post is a knowledge base article. From this post, you will know about - what is XML. This post will not teach you how to prepare XML files. So, don't be confused. Okay let's start - XML doesn't do anything! Confused? But there is no way to be confused actually when you will know that XML is nothing except some texts stored in tags. It's used to store and transport data. Unlike HTML, XML is only used to store and transport data, not to display. Unlike HTML, here you can define your own tags. XML is simply a complement to HTML. How Does XML Differ from HTML? A Good question to reply. When you browse a site through internet, you just see structured texts, images, pages etc. You never see the codes behind those beautiful sites. But your browser has to interpret those pages using HTML. Any browser uses HTML to display websites. HTML is used to display data. In contrast, XML is used to store and transport data. You can define your own tags in XML. But you can't do the same thing in HTML. Because HTML doesn't allow you to create something by yourself. It has some specific rules. The following example may provide you a true understanding of an XML document. This is a piece of message. It has a sender, a receiver, a subject and a body. But the information is only wrapped in tags. You must use a media to send the information somewhere. The message above is absolutely self descriptive in that sense that some of the tags are invented by myself! The tags - <Message>, <Subject> are my own creation! In XML, you're allowed to create your own tags. Surprisingly, XML language has NO predefined tags! XML allows author to define his/ her own tags and document structure. Where you are, You with the XML! XML became a W3C Recommendation on February 10, 1998. It is as important as HTML. XML is the most common tool for the transmission of data among all sorts of applications. Bloggers who have SEO Knowledge, should know about robots.txt and its use. But it is quite unfamiliar to the new bloggers. But some of them might be interested in Blogger's search preferences and they must ask about what is Custom robots.txt? Well this is not so easy to explain. To the new bloggers, the explanation might be confusing. In order to explain the term robots.txt, I've to tell about search bots or search crawlers. But I will try to explain the term clearly. Suppose, you've opened a blog in blogger. continuously you're publishing new posts. If everything is okay, your post will appear in Google Search within few hours. If your post is matched with someone's search topic, your site will appear in the search results. How it's possible? Search engines scan your site for new posts continuously. This is known as crawling. Search bots crawl your site regularly and index your posts in their directory. By default, blogger comes with a robots.txt for your site that helps search engines crawl your site. But as we know, the default or general settings never guarantee the accurate result. So we need to customize the settings as our requirement. Same rule is applicable for blogger's robots.txt. Today you will learn how to customize the robots.txt of blogger. There is a rumor that the default robots.txt can't index the old posts properly. If you have a proper custom robots.txt, your posts will be indexed properly. In my last post, I discussed about creating XML sitemap for blogger blog. There I gave example of XML sitemap. You can use that sitemap as your custom robots.txt content. Sign in to Blogger Dashboard > Settings > Search Preferences > Crawler and Indexing > Custom robots.txt > Enable? > Yes > Now add the code below > Save Changes. Here you just need to change the site URL. Replace the word munnamark with yours. And for sure, this will help search engines for better crawling of your site. This custom robots.txt might be less useful for AdSense enabled blog. If you use this type of custom robots.txt in your blog, AdSense will not be able to show relevant ads on your site. Consequently your ads impression you will affected seriously. And ultimately, your revenue will fall. Look, only the blue part has been added with the previous code. If you're working with AdSense then consider using this code as your robots.txt element. Actually the blue part is used by Google AdSense only. If you use this code (User-agent: Mediapartners-Google Disallow:), AdSense will be able to crawl your posts properly. Then it will show relevant ads on your site. And the other part of the code will be used by the search engines for indexing your contents. How to Create XML Sitemap for Blogger Blog? Last week, I discussed about Sitemap. And I said, my next post will be about creating sitemap. However the next post was about Windows 8.1 Activator. So, I don't like to delay anymore. Today I'm gonna tell you the easiest way to create sitemap for your blogger blog. Hopefully this will help you boost your search position. There could be several ways to create sitemap. But mostly used sitemaps are XML and HTML. And I will talk about XML sitemap. Actually this is not worth of creating a sitemap page for your blog. But quite useful for submitting in different search engines. It will just list your pages as XML code. You will not be able to show or view the links as Anchors Text Links. 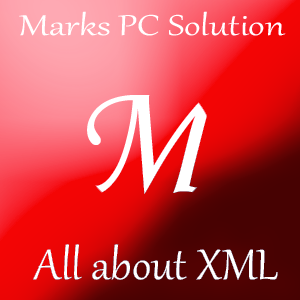 This is the XML sitemap of Marks PC Solution. The blue part is the actual sitemap link. When you need to submit the sitemap link, you should use the link only. But if you wanna use it as custom robot.txt then use the full code. If you wanna view your actual sitemap, then copy and paste the URL in your browser. You will get the URL for your posts in XML format. It contains all the URL of your site with many other information which are useful for search engine crawlers. Compare the two codes. I made a change in date and in URL. Thus you can also change it as your wish. But don't need to change any other part. By the way, this sitemap has been generated by http://ctrlq.org/blogger. You can directly visit this page and create your sitemap from there. Copy your homepage URL (http://munnamark.blogspot.com) and then paste it in the sitemap generator box. Hit on the Generate Sitemap button. Done! Now copy and save the code in a notepad file or elsewhere. You can submit this sitemap in bing or any other search engines that support XML sitemap. Remember, use the link only when you need to submit the sitemap URL. Wait for a few moments. You will see a red button like image below. Hit on the Red Button. Wait and see. Hopefully you will get your system activated. Press Start + Pause, and check the activation status. Also look at the last Blue i Button. If you press this button, you will get your system status immediately.